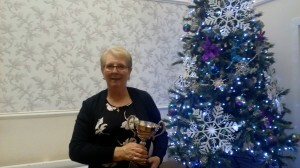 Eunice Coombes, Tameside Ladies team captain, pictured at the League’s presentation evening on 24th November, collecting the runners up trophy on behalf of the team. It is with great pleasure that we can announce that Capstone Financial Management are to provide an ongoing level of sponsorship for the club. To inaugurate this, Capstone recently hosted free of charge a financial management presentation for interested members at Glossop Cricket Club. This was very well received by the members attending. The club is very pleased to be make this announcement and is looking forward to a mutually beneficial period of cooperation with Capstone over the coming seasons. After 4 years as club Secretary it’s time to say goodbye to Stan Perkins whose leaving the club to spend more time with his family in Frodsham. 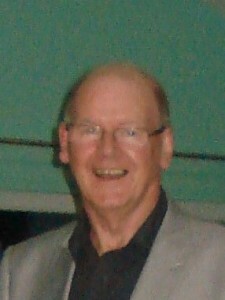 Stan has been a member of the club for more than 10 years and has been an excellent Secretary. In addition Stan has undertaken regular green-keeping duties over the years. We wish you and your wife Hazel well for the future. A reminder to members that this year’s Xmas bash is to be held at the Glossop Cricket and Bowls Club (North Road) on Friday 15th December starting at 7.30pm. Its a chance to let your hair down and get into the spirit of Christmas whilst at the same time applauding those members who have excelled in the club this year. There’s a great buffet, entertainment throughout the evening and a raffle (what more could you want). Tickets priced at £15 (as per last year) are currently on sale from your team captains and Bryan Buckland the new club Secretary.